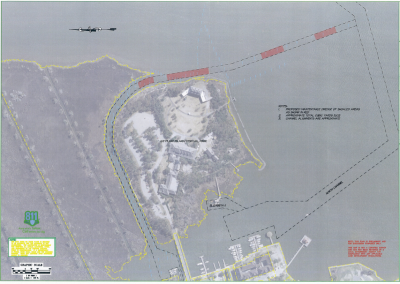 MANTEO – Unable to leave its home port at Roanoke Island Festival Park for the last two years, the state-owned Elizabeth II may go through another winter without maintenance before a shoaled channel blocking its passage will be cleared. More than $2 million has been provided in this year’s adjusted state budget to dredge Manteo channel at the intersection of Shallowbag Bay, but until recently no entity had stepped up to take charge of the process. Finally early last month, the Dare County Board of Commissioners agreed to allow County Manager Bobby Outten, who also serves as county attorney, to administer the dredge project. 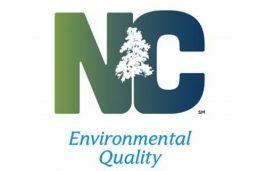 The state grant, which require no matching funds, is being handled by the North Carolina Department of Water Quality. 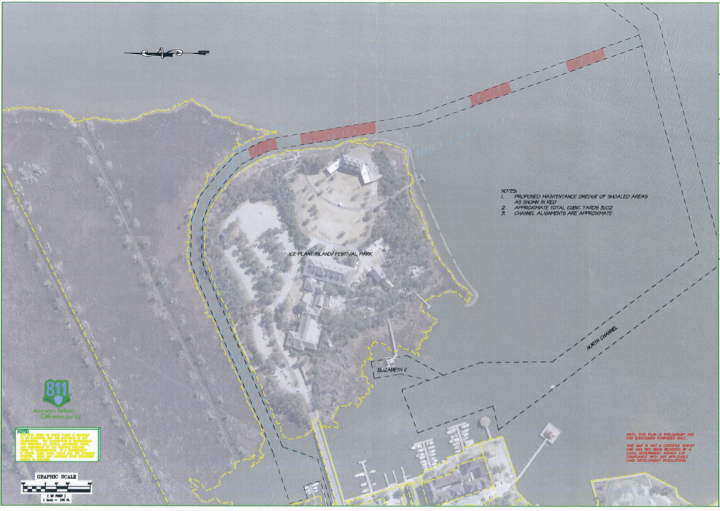 Addressing the low spot in the channel would mostly benefit commercial and recreational boat traffic to and from the Manteo harbor and the waterfront docks, as well as allow the Elizabeth II to leave the dock. 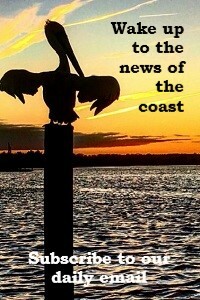 But neither Manteo nor the state volunteered to take the reins of the dredge project. About a week before the board voted to approve the county’s role, Manteo Town Manager Kermit Skinner had contacted the county to ask it to take charge, Outten said. Since Dare County has experience navigating the complicated permitting process for dredge projects, as well as the ability to cover upfront costs until it is reimbursed, Outten said it is logical for the county to handle the administrative duties. The county contracted with consultant Ken Wilson with Wilmington-based firm Aptim Coastal Planning & Engineering of North Carolina Inc. to handle the permitting process and execution of the project. Once final details are completed, Outten said, the consultant will be able to determine how much dredging would be required, who is available to do it, when it can be started and completed, and how much it is likely to cost. The last time the Elizabeth II had been hauled out for maintenance at the state shipyard in Manns Harbor was in January 2016, said Dwight Gregory, a volunteer crew member. In October of that year, the 69-foot vessel ran aground at the shoaled Shallowbag Bay intersection and was stranded there overnight until the high tide floated it free. Since then, the ship has not moved from its mooring in Doughs Creek at Roanoke Island Festival Park. Some bottom planks below the waterline need replacement, said Gregory, who has volunteered on the ship since 2007. So far, he said, the vessel does not appear to be leaking more than usual nor is it in imminent danger. Still, its wooden hull can remain immersed in the creek’s briny water only so long before it starts to deteriorate. “There’s work that needs to be done on it,” Gregory said. The representative 16th-century sailing ship was built for $670,000 in 1983 at the Manteo waterfront to mark the 400th anniversary of the 1584-1587 Roanoke Voyages, the first attempt at English colonization in the New World. 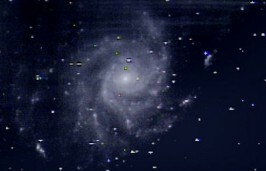 The state took ownership of the vessel when Roanoke Island Festival Park opened in 1998. 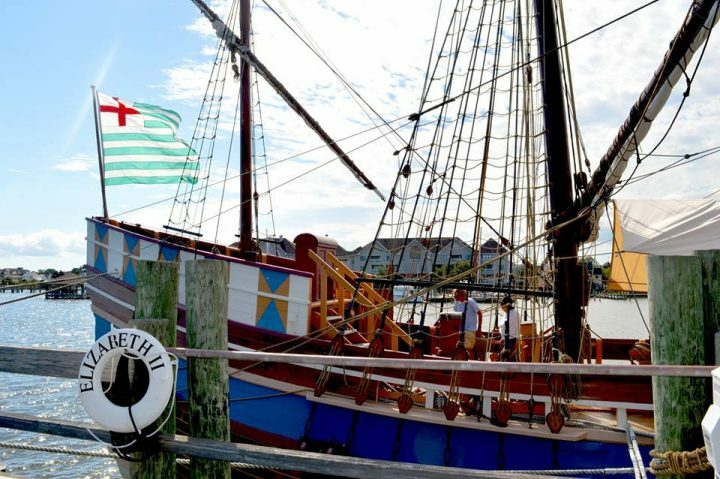 The colorful three-masted, square-rigged ship, moored directly across from the Manteo waterfront shops and marina, has been a popular attraction at the park, where interpreters in 16th-century sailor costumes show off the ship and tell stories to visitors. Michele Walker, a spokeswoman for the state Department of Natural and Cultural Resources, said that the state is monitoring the ship’s condition, and is planning to have it hauled out this winter, if possible. Before the county agreed to administer the project, Skinner said the town would have reluctantly taken the helm if it had no choice. In May, the Dare County Board of Commissioners passed a resolution supporting Manteo’s request for emergency dredging. Skinner said he had hoped the project could be done over the winter, but the challenge “first and foremost” is finding a place to put the dredge material. Interest has been expressed in using the material to widen the eroding Roanoke Sound shoreline along the Elizabethan Gardens and Fort Raleigh National Historic Site on the north end of Roanoke Island. Some critics said that Manteo should have had the channel cleared as part of long-overdue dredging project that the town did last winter in Doughs Creek that was largely paid for with state funds. In an earlier interview, Skinner said that the state never requested the work be done at the Shallowbag Bay intersection. Although that shoaled area is technically part of federal channel, it has not been maintained by the Army Corps of Engineers since the 1981 construction of the state-owned Wanchese Seafood Industrial Park. When the seafood park was built, the state agreed to take over maintenance of the channel north of Wanchese Harbor, according to the Corps. But dredging has not been done in the channel since 2005, and the problem spot at the intersection now has 4 feet or less of water. The Elizabeth II draws 8 feet. 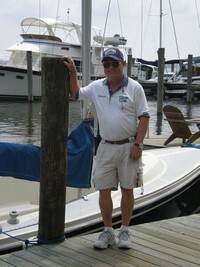 Carl Jordan, Manteo dockmaster, said that boats that draw more than 6 feet rarely bother trying to come into the harbor, and those docked at the Manteo waterfront marina are all smaller vessels. 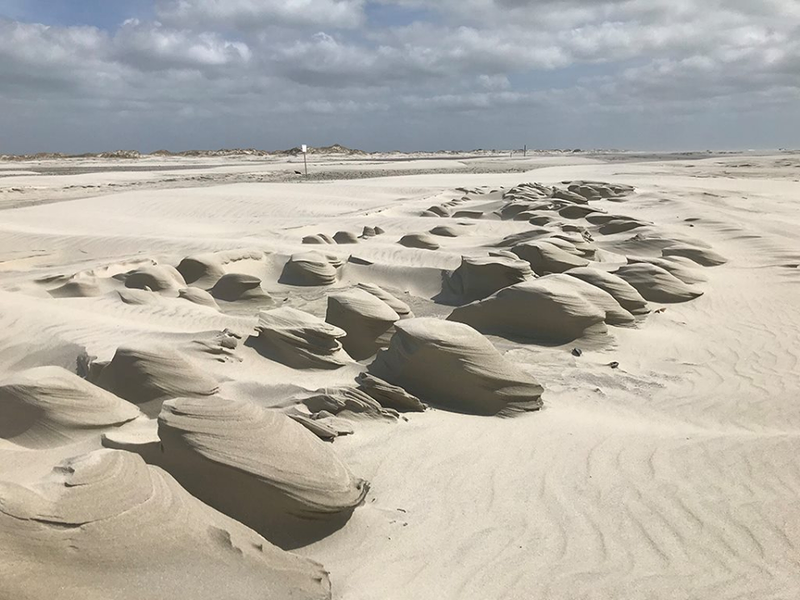 Jim Medlock, civil works project manager at the Corps’ Wilmington office, said that the quality of the dredged material would be a big factor in where it can be placed, and whether it would be permitted. But he agreed that getting material to the north end of the island or finding another site to deposit it would be a challenge. Medlock said the Corps could potentially be contracted to help with the project, or a private contractor could be hired. Meanwhile, he said, he would “be more than happy” to discuss the options with the county.